“You have returned just as you left! A few men beyond 50 are clearly seeking a spiritual thread to help them find meaning and purpose in life. However, many men of this age just feel lost, confused, even depressed. What’s the point of my life? What legacy do I want to leave behind me? These are hard questions, and Sufi wisdom may be helpful. There’s no easy definition of Sufis or Sufism. It’s certainly not a religion: there are no temples, no one holy book or teacher. Yet a best-selling poet in the UK for years has been Rumi, a Sufi poet from the thirteenth century. The quote at the start of this posting gives you an idea of his approach. No one is sure how Sufism began: the story I like is that the early Sufis were a mystical Christian group, who later adopted the Arabic language and Islamic practices, as Islam swept across the Middle East. If you go back to the source texts in their original, key beliefs are similar anyway. One of the first Sufi teachers I met was asked, “What is Sufism?”. He replied, “it’s a way of meeting life from the heart, seeing the divine unity in all beings”. Eighteen years later, I’d still call this a good summary. The relevance for men beyond fifty is to stop meeting life from the head, stop trying to understand and control everything, and start treating yourself and all beings with compassion. like all the stars and galaxies in time, in time, straight on. Whilst you can get a flavour of the Sufi path by reading poems and websites, to find the real depth, you need to spend time face-to-face with a teacher. 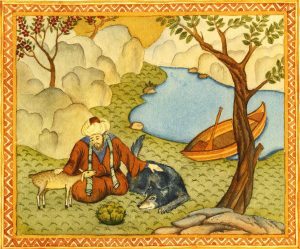 Most Sufi orders emphasise the line of personal transmission, from the great Sufi teachers of earlier generations, through to the many talented ones of today. If you really want to continue along this path, the best way is to commit to a specific teacher and Sufi order, and to seek initiation. One of the first initiated Sufis I ever met was also an Anglican vicar, who had his Bishop’s permission to be a Sufi too. This is one of the great features of Sufism, that it can weave along with many other spiritual paths. The theme of surrendering to a greater power, within yourself and the universe, is a key Sufi teaching. One of my favourite books is The Last Barrier by Reshad Feild. It’s the story of an English man who travels to Turkey, searching for Sufi wisdom, learning that he needs to unlearn and surrender in order to receive. It has the wonderful line, “the purpose of the path is to bring a man to the point of bewilderment”. True surrender is nothing to do with despair or abdication: it means knowing your limitations, and playing the part in life that’s appropriate. Some of the best Sufi teachings come from poets like Rumi or Hafiz. The Sufis, by Idries Shah. ISBN 978-0863040740. There are various introductions to Sufism: I recommend this one because it is not a mere tour guide or description from the outside. This is written from the inside, by a man immersed in the tradition, and it offers you the chance to experience, not just observe. The Last Barrier, by Reshad Feild. ISBN 978-0060625863. As mentioned earlier, this is the story of one man’s search for Sufi wisdom. Beautiful, moving, and a powerful way of conveying the nature of the Sufi path. The Essential Rumi, by Coleman Barks. ISBN 978-0785808718. This is one of the best collections, by one of the best translators, and there are many of both. It has some helpful commentary, and is delightfully organised, with sections like On Bewilderment, On Spring Giddiness, On Being a Lover. The Sufi Book of Life, by Neil Douglas-Klotz. ISBN 0-14-219635-5. This is a useful book for those starting to explore the Sufi tradition, with a helpful introduction, and a list of 12 organisations you could contact about Sufi teachings: not all of these are active in the UK. The main part of the book includes teaching stories and meditations so that you can start to experience some of this for yourself. If you want to make contact with Sufi teachers, and experience Sufi practices, it is best to get in touch with one of the various Sufi orders. Some of these, like the two for which websites are given below, are more Western-oriented, and are quite active in the UK. Others are more Eastern, more focussed on Islamic practices, and may be harder to access. www.ruhaniat.org. The website contains masses of teachings, access to books and CDs, and a calendar of events in various countries. www.sufiorderuk.org. The website contains a range of teachings, and contacts for a number of local groups around the UK. www.philipodonohoe.co.uk. 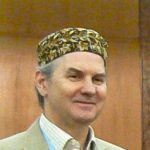 Philip is one of the most accessible Sufi teachers active in the UK, and several of his events would be a good initial experience of Sufi teachings. www.abwoon.com. This is the website of Neil Douglas-Klotz, a leading international teacher of Sufi, Christian and other middle eastern spiritual traditions. The website contains some useful written material, details of all his books including Desert Wisdom, and listings of events. For a performance of Drink with the Beloved, see Allaudin Ottinger You Tube clip : http://www.youtube.com/watch?v=YkzgVNy3h4E.